I’d like to recommend a series of books that I’ve read recently. 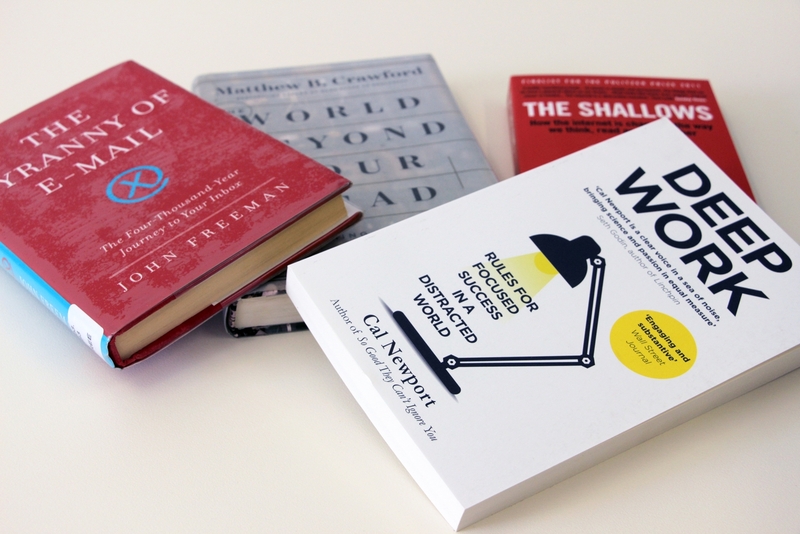 All of these titles are on the topic of daily productivity and working effectively as a knowledge worker. They also cover the threat that our attention spans face from communication technology, and our personal lack of self-control. Here is the pile of books, which I will discuss in more detail below. As you might remember, this is a topic that I covered with my 2016 Sunday Assembly talk on distraction, as well as my comics Blocking My Reptile, and First Got the Internet. Despite my best intentions with those pieces, I found my self-control slipping earlier this year. It was time to re-remind myself about the importance of productivity and focus. This book is a full-length expansion of Carr’s much-cited 2008 Atlantic article Is Google Making Us Stupid? 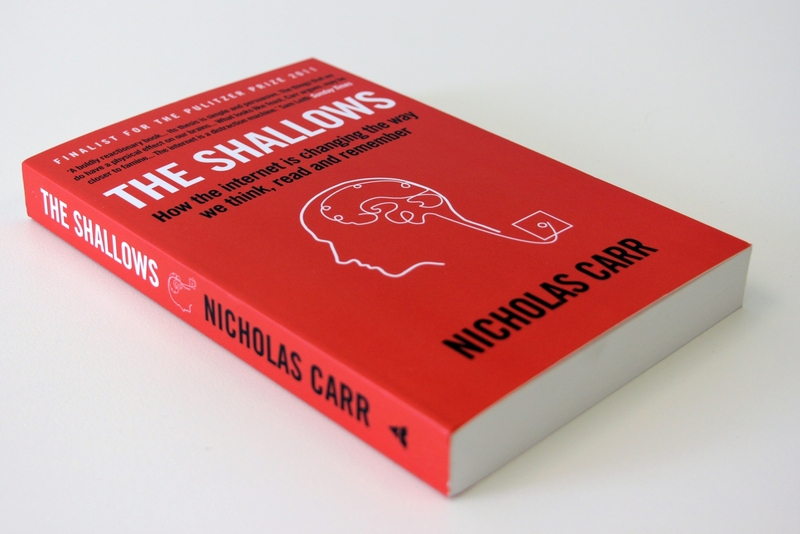 Carr’s book masterfully—and alarmingly—outlines the way that internet-enabled multitasking is affecting the way that we think. 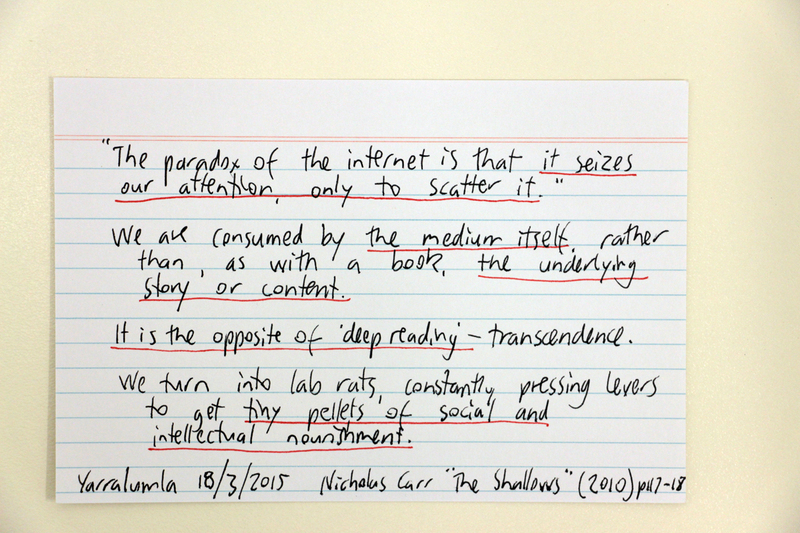 Our brains’ neurons are literally being rewired in a way that makes it harder for us to concentrate on the deep reading and deep thinking habits that many of us cultivated before our round-the-clock connection to the web. This is the best of the ‘books outlining the problem’ that I have listed here. This is arguably the least essential book on the is list, but is still worth reading. 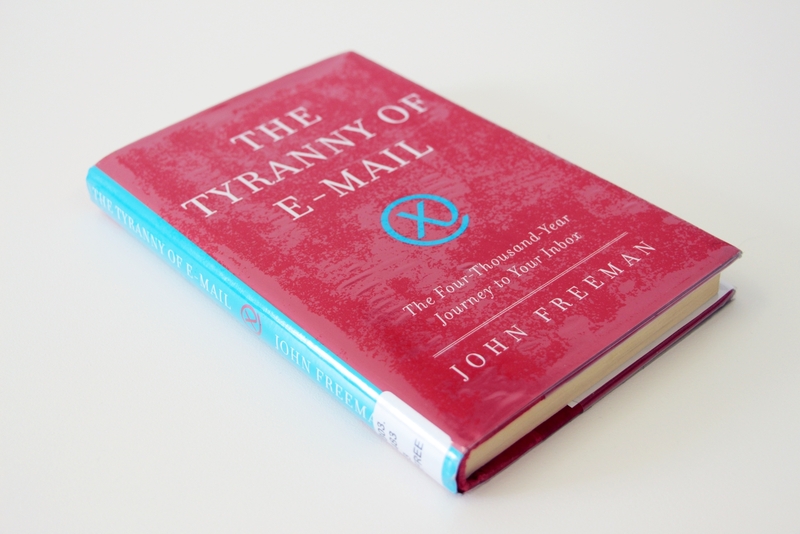 Freeman discusses the “4,000 year journey to your inbox”: the long-term evolution of the postal system and telegraphy that preceded the internet. Things have gotten faster and faster. The increased pace of email communication versus paper communication encourages us to place a higher priority on fast responses, rather than thoughtful responses than we would have in previous eras. 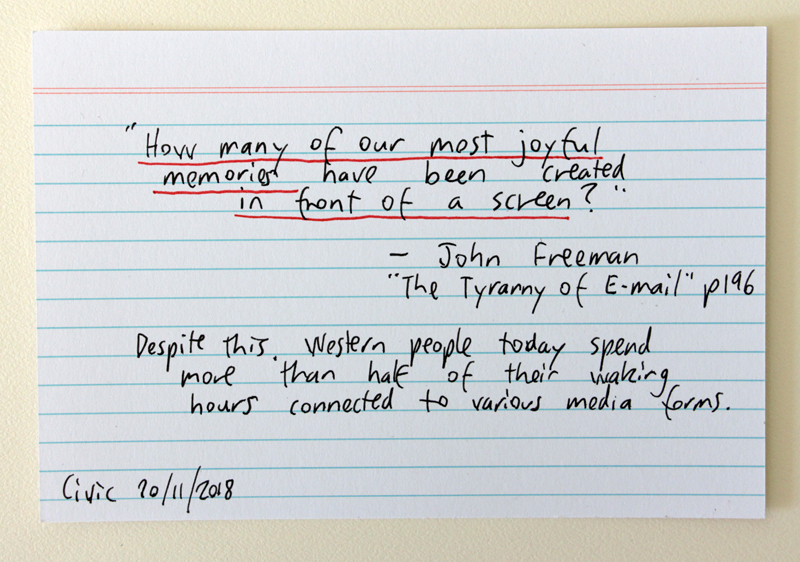 Freeman also notes how email is a technology that is homogenising our communications, forcing all types and lengths of messages arrive to arrive in the same inbox. 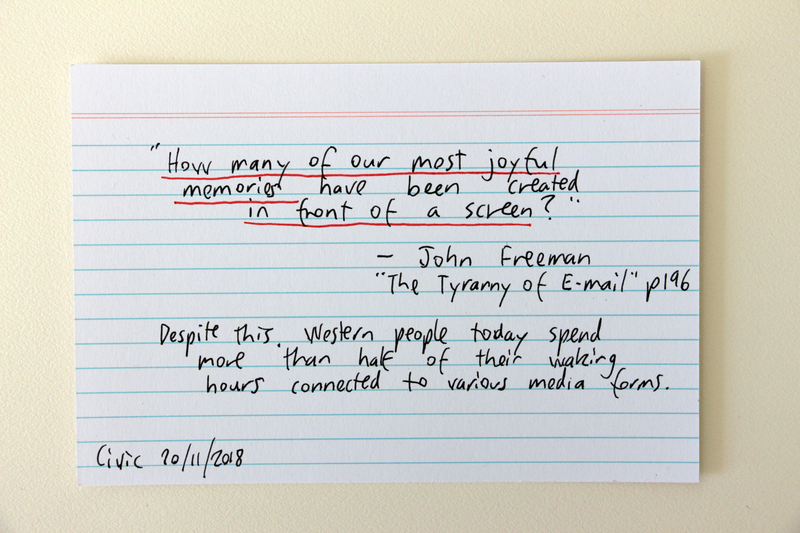 At the end of The Tyranny of E-mail, Freeman provides a 10-point manifesto for limiting the negative impacts of email on your life and workflow. 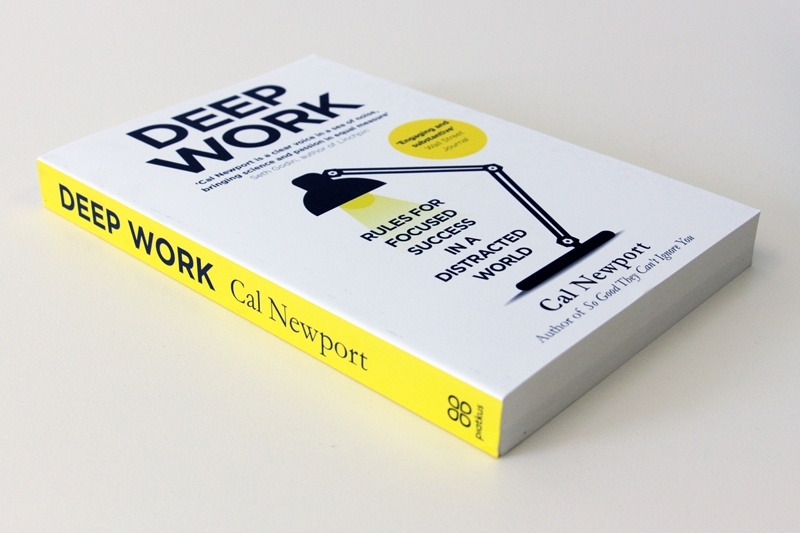 (Cal Newport’s book Deep Work includes a similar manifesto, which is written with a more forceful and stirring tone). 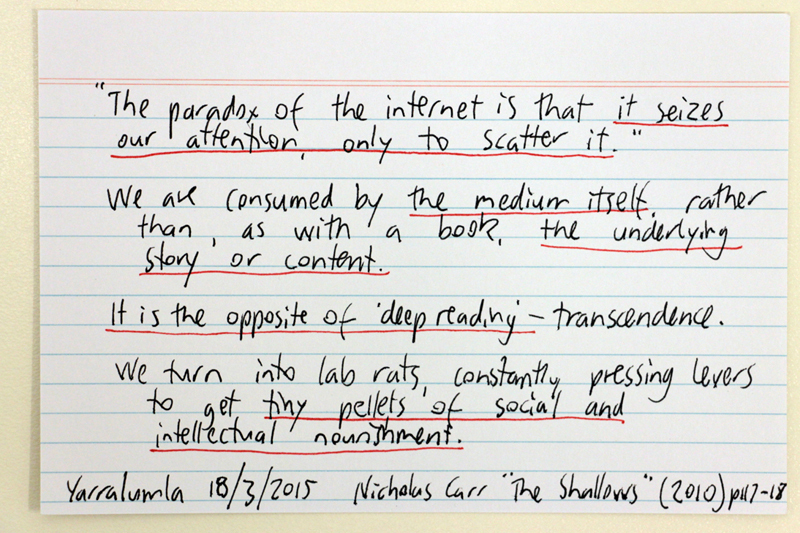 Crawford argues that our attention spans are the “scarce resource” of our modern age. Distraction technologies and marketers constantly fight to interrupt our attention spans with their interruptions and messages. The subtitle of the book is “On becoming an individual in an age of distraction”. 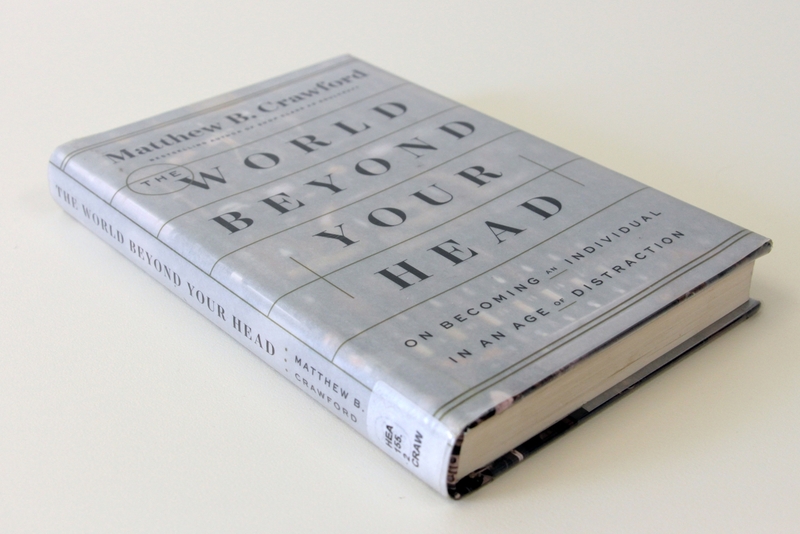 Crawford argues that we need to actively fight this barrage of distractions if we are to truly exist as a “coherent self”, who makes thoughtful decisions about how we wish to live our lives. If we do not fight for this mental clarity, we will simply live auto-pilot lives, following the cues left for us by marketers and social media services. Crawford’s book takes the reader on some unusual tangents during the middle chapters, that I felt unrelated to the core premise of the book. I wish that he would have stuck to the tone and subject of his opening chapter, which you can read online in this extract that was published in the New York Times. That piece, The Cost of Paying Attention is an outstanding self-contained read. Of all the books I’ve listed here, the capstone is Deep Work by Cal Newport. It is the one that inspired me to write this blog post. Newport argues that our culture prioritises “shallow work” at the expense of the “deep work” that we should be spending our time performing. Our bosses and peers encourage us to continuously check our inboxes and social media accounts, and rapidly respond to their messages. Newport argues that this hyper-connectivity is incompatible with the single-minded focus that is required to produce creative breakthroughs. 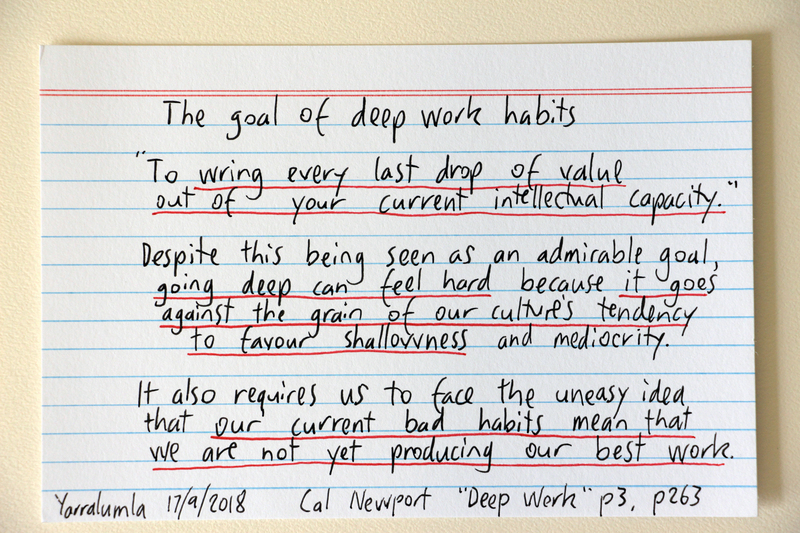 Deep Work is an inspiring call-to-arms, that encourages us to face the uncomfortable fact that our bad habits might be preventing us from yet producing our best work. Newport is a sympathetic author who acknowledges the cultural norms that we must fight against to reclaim our time. His book outlines a specific plan for restructuring one’s life to “wring every last drop of value from your current intellectual capacity” By working in this focused way, Newport argues that we can actually enjoy more leisure time than most of us experience through today’s unfocused workplace norms. If you wanted to know more about those books, or to purchase them, I have included Wikipedia, Goodreads, and Book Depository links under each title. I receive referral commissions from any purchases you make from the Book Depository after clicking those links. Want more book recommendations? 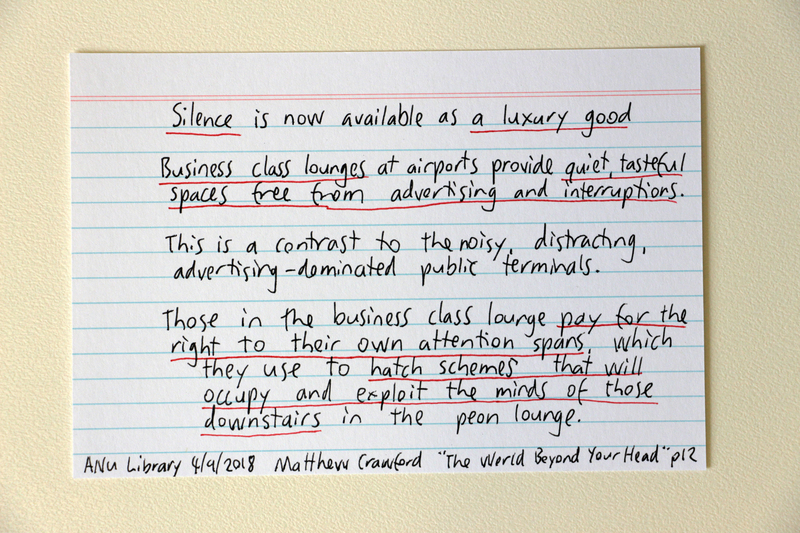 I have another blog post titled Finding inspiration: books about the challenges of artists and freelancers which goes deeper into this topic of how to make the most of our time and attention. I recommend eight books about the challenges that artists and creatives face in their daily work. 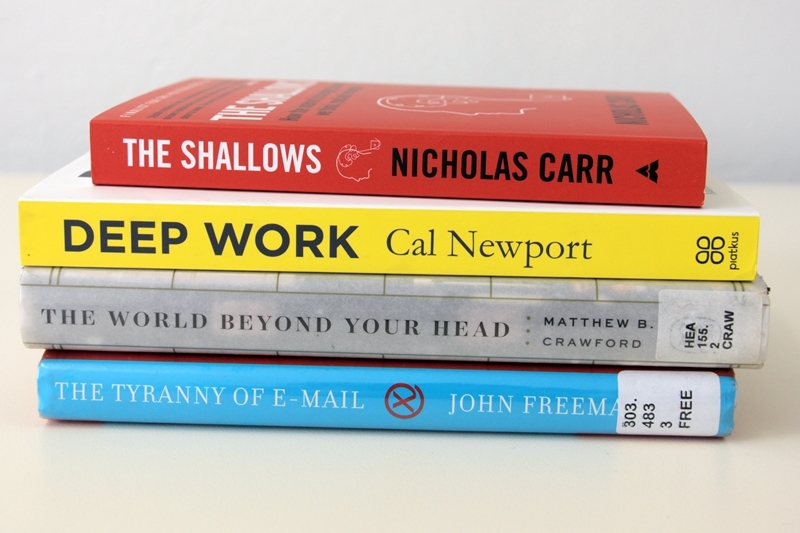 Books about conquering self-doubt and procrastination.